Stocks barely budge. Next up: The Fed! Stocks barely budged Tuesday, as investors sat in a holding pattern ahead the Federal Reserve's key policy announcement Wednesday. 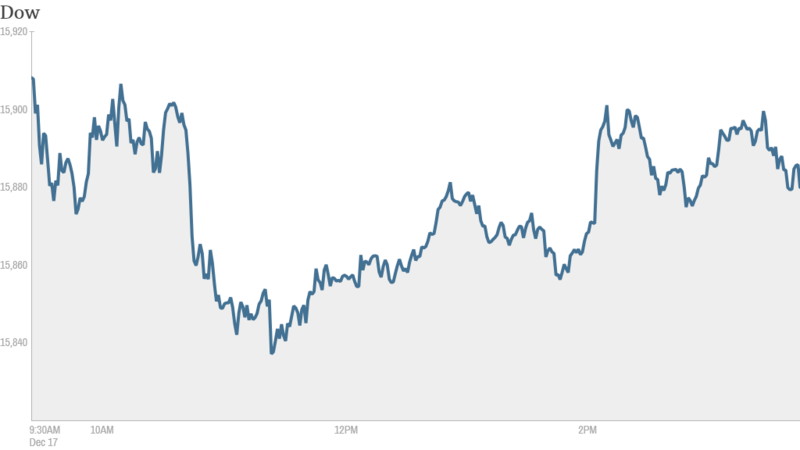 The Dow Jones Industrial Average, S&P 500, and Nasdaq all finished slightly lower. Investors are eager to find out when the Fed might begin to cut back its massive stimulus program. Some think the so-called taper may come sooner than expected. Deutsche Bank chief economist Peter Hooper is predicting that the Fed will announce plans on Wednesday to cut back its monthly bond buying by anywhere from $5 billion to $15 billion from its current pace of $85 billion a month. What's moving: Tesla (TSLA) popped over 3% after the it unveiled a Chinese website. Shares of the luxury electric automaker have quietly staged a comeback this month after a rough October and November. Facebook (FB)reached a new all-time high after the social network said it is rolling out a feature that will allow advertisers to play videos in users' news feeds. Some people may feel that more ads could alienate Facebook's users. But a StockTwits trader claiming to have seen the video ads thought they wouldn't have a negative impact on the user experience. "$FB Have any bears actually seen the video ads? Not really disruptive at all...will increase rev w/o losing users," packyM said. Shares of iRobot (IRBT) soared 17% after an analyst from Raymond James upgraded the company to a "strong buy." The favorable rating came on the heels of Google's (GOOG) purchase of robotics company Boston Dynamics. "I had this slight feeling that $GOOG robot news would save $IRBT for now and put them in play," said howardlindzon. But another trader didn't think the sharp jump in the stock was warranted. "$IRBT Be careful way overbought and overdone here," said StockTwits user Sjay. Herbalife (HLF)was up over 1% after surging nearly 10% Monday when investors got word that PricewaterhouseCoopers' re-audits of the company's financial results came back clean. 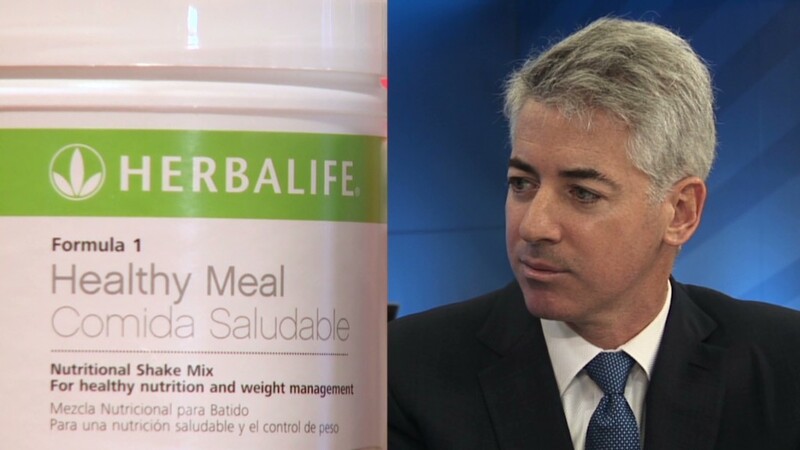 Herbalife has been battling accusations of financial wrongdoing from activist investor Bill Ackman, who has repeatedly called it a pyramid scheme and has a big short bet against the stock. One trader seemed to subscribe to the Ackman theory. "I STILL wouldn't touch Herbalife $HLF even after the 're-audit'," said NovaPharma. Another thought the stock was benefiting from the media attention. "$HLF...going to be in headlines for awhile again. good media," said candiswave. Boeing (BA) also got a bump after the aerospace giant announced a 50% dividend increase and $10 billion stock buyback program. European markets closed lower while Asian markets ended the day with mixed results.